You might have seen her moves without even attributing them to her. Maybe on a concert stage or in Beyonce’s Upgrade You or Sean Paul’s Gimme The Light. Tanisha Scott’s choreography has dominated many music videos and has immersed new and old, alike, in dancehall culture. Dancehall has an uncanny way of transcending geography, race, and cultures; Scott has done that in all of her movement by incorporating its style and flavor in her moves. Born in Toronto to Jamaican parents, Tanisha Scott credits her love of music + dance to her musical family. Her father started True Tone sound system in Jamaica and once he migrated to Canada, partnered with Wayne Ho-Lung to further enhance and spread the sound. She has a vast repertoire as a choreographer and is well versed in all other facets and styles of dance. 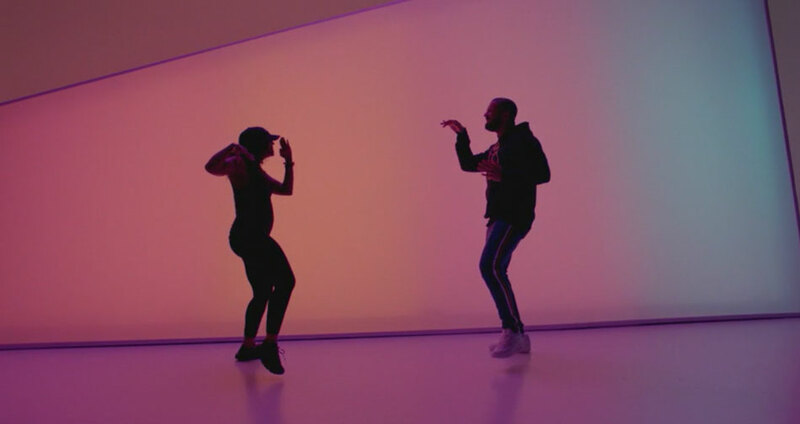 In Drake’s latest video, Hotline Bling, the Toronto rapper playfully dances for the song’s entirety. Scott merely acts as a proud coach who joins her student towards the end of the video. The party vibes created by the video is reminiscent of Sean Paul’s Gimme the Light, which also features Scott and was directed by fellow Caribbean Canadian, Director X, who is of Trinidadian descent.